Africans In Orlando LLC is a socio-cultural enterprise with a vision of being the premiere and signature provider of urban-African experiences in the greater Orlando region of Florida. As you know, building strong business relationships always begins on a personal level. So, whether you're looking to boost sales, bolster awareness or build client relations-- business-to-business growth, thrives on networking within social and professional organizations. At Africans In Orlando LLC, because of our cultural heritage, we understand that forming one-to-one relationships with prospects and customers provides individuals and companies a clear competitive edge in today's cluttered marketplace as people now buy based on what they trust and feel connected to. Africans In Orlando LLC, provides the ultimate opportunity for truly effective business-to-business relationship marketing. Beyond advertising, exhibits booths and direct mail, Africans In Orlando LLC, delivers relevant interaction with more than 1000 targeted African consumers/clients that builds strong and lasting consumer/client base. 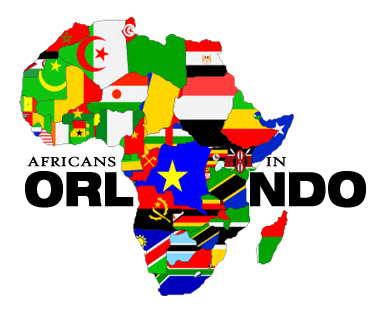 Our reach also extends well beyond the African community as African-Americans, Europeans, Americans, South-Americans and Asians are great friends and connect with the African culture and brand, putting our direct numerical reach in the area to tens of thousands.